The law is an ever-changing entity, or at least it should be. There is no argument that current issues and laws surrounding people’s activities have changed dramatically over the decades. The problem is that with each new social or technological change, the law needs to find a way to alter itself. The same applies to the legalization of marijuana at the state level that poses many problems in various ways. Nowhere is the issue of pot intoxication more critical than in DUI cases. 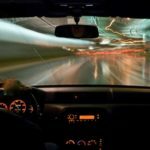 As opposed to alcohol, driving under the influence of pot isn’t as clear-cut as when someone is suspected of drinking while driving. When someone is pulled over for alcohol intoxication, it takes nothing more than blowing into a device to determine how much alcohol is in their system. A cutoff number is a standard to determining who is considered impaired while driving and who isn’t. 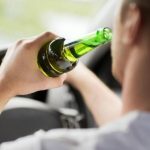 Although there are still those who contest being criminalized due to nothing more than a blood alcohol level, numerous studies over the years have led to the specifics and it seems like a reasonable one to hold up in court. Marijuana is different in many ways. A good DUI defense Lawyer will tell you that when someone is pulled over for intoxication, the definition of “impairment” is more gray than black and white. For one thing, taking a simple number like the amount of THC in the blood is unreliable. There is no proof that having a certain amount in your system is an indication of impairment. In fact, there are times when someone can have a large amount of the substance in their body despite not having taken THC in quite a while. 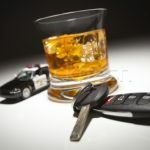 Impairment for a DUI when it comes to pot is a much more difficult task. Nevada is not the first or only state that is trying to find some legalities and definitions related to marijuana prosecution in DUI. As pot quickly became legalized, the law didn’t have time to test, quantify, define or to amend the DUI laws to keep up. There is a new bill on the horizon, however, to tackle the way that prosecutors and police can determine whether someone is impaired by the use of marijuana. Judiciary Committee Chairman Steve Yeager has proposed a bill that attempts to ensure that blood levels of marijuana, as measured in the bloodstream, are actually a reliable way to open a person up to prosecution. He believes that before you set standards for intoxication, there needs to be proper scientific proof that the level is accurate. There are two ways to test for levels of pot in a person’s system if they are accused of driving under the influence: you can either test their urine or their blood. The problem is that there is very little evidence that either is a reliable way to ascribe criminality. 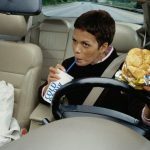 Studies at Touro University in Nevada have concluded that when using a urine test to determine impairment, singling out markers of AB135 is not a scientifically proven or reliable way to prove that a person is impaired while driving. Since each person has different metabolic rates, using an arbitrary number does nothing to prove that someone is intoxicated. It is irrefutable that pot affects each person differently, so each person has a different threshold for impairment. Determining a simple number count has been discounted as proof allowed against someone in a DUI case. 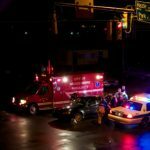 Blood might be the key to finding out the impairment level of someone who is under the influence, but that is a much more invasive procedure. And there are still questions about the validity of a blood test to measure the level of impairment that someone has in relation to how much pot they have ingested. Since it is still a question of metabolites, Yaeger’s bill states that blood evidence should likewise be stricken. The problem is that, that leaves both law enforcement and prosecutors without any real evidence to present in court. The only real test that has held up to scrutiny regarding marijuana intoxication is something called Delta-9 THC, which has been developed in Europe and actually might accurately measure intoxication. The problem is that it is still in its infancy and extremely costly. 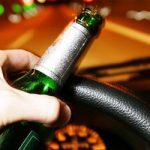 So, although the bill outlines the things that should not be used as evidence in court, it does nothing to give law enforcement or prosecution, the tools needed to get intoxicated drivers off the road. It might be considered a “what not to use” guide, but alternate suggestions of what to use is missing in the bill. It still leaves the public open for harm and provides no tools to prosecute those who drive while intoxicated.